In a previous blog entry, we discussed that HB1550 passed the Missouri House and Senate. This was a shared parenting bill that had various important components. Just this week, this legislation was signed by Governor Nixon. For those who supported this bill, the hope was that this would make fifty-fifty, or equal custody, much more likely in the State of Missouri. Along with various other components, the other notable hope was that parents who are being denied their custody time will be able to get quick relief by highlighting the already existing Family Access Motion relief available in Missouri statutes — through the requirement of a new disclaimer being added to all custody judgments. It will be interesting to see as time goes on the effect of this bill. For those who are supporters of shared parenting, they will likely applaud many components of this bill. For those who do not support shared parenting, they will likely have reservations about this bill. There is a real question, however, whether this legislation will affect parents who already have existing custody judgments. Some may believe this legislation will allow them to go back to court to obtain more custody time. There is a real question of whether that will be the case or whether this legislation will simply effect new cases and/or cases that are currently pending. While the legislation seemingly makes equal custody, or substantially equally custody time, the presumption in Missouri, there are still apparent factors that a court could rely on to not order equal or fifty-fifty custody based on the factors of a case. Regardless, this legislation will likely make it easier for many parents to obtain shared parenting schedules. As it relates to Family Access Motions, that relief is already available in Missouri now for those with existing custody judgments. The question is whether requiring a disclaimer in every custody judgment that highlights the existence of potential relief through a Family Access Motion is just a symbolic effort or if it will result in substantive change. Additionally, for fathers who have never established their rights, they still would seem precluded from even filing a Family Access Motion until they have obtained a custody judgment through a custody case — commonly referred to as a paternity action. So, for many fathers who believe they are being denied time with their children, but who have no judgment for custody, this legislation may not do anything to give them quick relief until the first obtain a custody judgment. 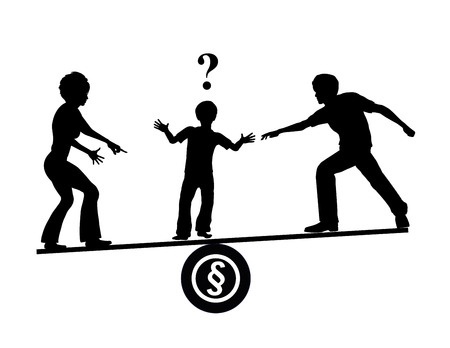 If you are going through a child custody matter, Stange Law Firm, PC can help. You can call us at 1-855-805-0595.